According to the latest reports, the Chevy manufacturer is preparing the new 2019 Chevrolet Trax. However, since it has been revised as the 2017 model year, we don’t expect any major upgrades. So, the Trax will continue with the same styling, engine, and equipment as before. The new 2019 Chevrolet Trax will be powered by the same engine which powers the current model and there is a sole unit. It is a 1.4-liter inline-4 turbocharged engine. This unit is capable of making 138 horsepower and 148 pound-feet of torque. It is coupled to a familiar 6-speed automatic gearbox. The Trax comes with a choice of front-wheel and all-wheel drive units. As for the fuel economy, the front-wheel drive variant is rated at 25 mpg in the city and 33 mpg on the highway. The all-wheel drive model gets 24 mpg in the city and 30 mpg on the highway. The 2017 model year has been significantly revised in the terms of exterior styling, so we don’t expect any changes for the new 2019 Chevrolet Trax. The Trax compact SUV now looks bolder and wider. Its body features a shape of a shorter sport utility vehicle and a taller hatchback. The front end is dominated by the narrow grille and a pair of swept-back headlamps. And the LED daytime running lights and taillights are standard except in the base trim level. The rear fascia wears large taillights which are available with LED lighting. The range-topping Premier trims will get more chrome accents, and larger 18-inch aluminum wheels and fog lights. 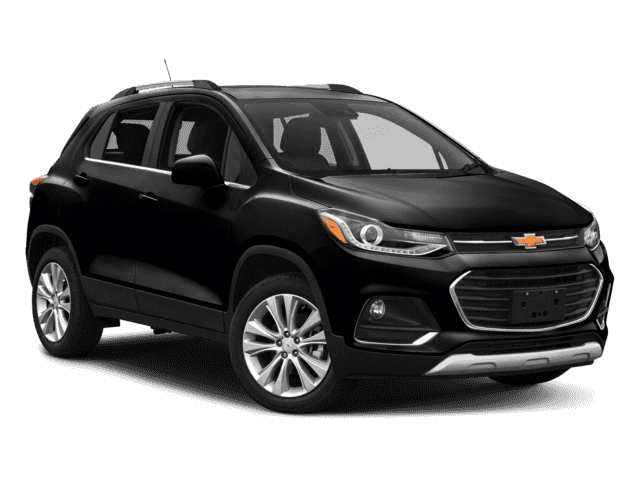 The interior of the 2019 Chevrolet Trax is modern and looks very nice starting from the attractive dashboard, black plastic, upgraded infotainment display, and soft materials. The base model comes with black cloth upholstery with blue stitching. The Premier model will add two-tone upholstery and contrast stitching on the instrument panel. The front seats are comfortable even for the taller passengers and the rear one will also provide sufficient space and comfort for adults. Moreover, as for the cargo, there is a room of 18.7 cubic feet. However, with the seats folded down, the cargo increases up to 48.4 cubic feet. 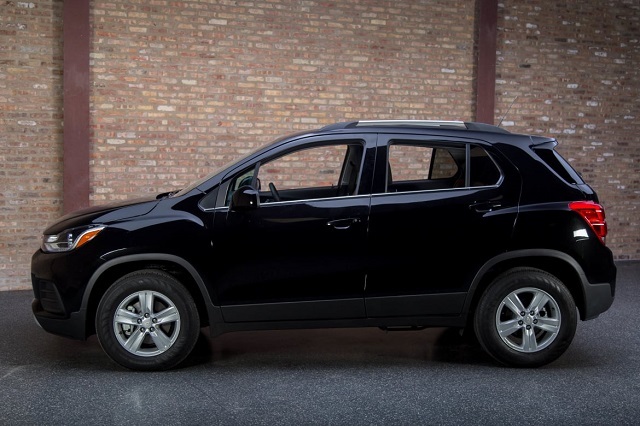 Speaking of the equipment, the Chevy Trax is available in three trim levels. Those include the base LT, mid-range LT, and a top-of-the-line Premier version. The base model comes standard with air conditioning, keyless entry, a rearview camera, a 7.0-inch touchscreen, 4GLTE connectivity, Wi-Fi hotspot connectivity, Bluetooth, USB, MyLink entertainment system, steel wheels, and black door mirrors. The Apple CarPlay and Android Auto connectivity are also standard. The mid-level LT will add cruise control, remote start, satellite radio, 16-inch alloy wheels, and roof-mounted side rails. Furthermore, the optional features will include a power sunroof, keyless ignition, and a Bose premium audio system with 7 speakers. However, these optional features will be standard in the Premier trim which will also include active safety systems. As for the safety, the Trax comes standard with 10 airbags and a rearview camera while the forward-collision alert and lane-departure warning will be standard in the Premier trim only. We cannot say for sure when exactly the 2019 Chevrolet Trax will hit the market. However, the price should remain unchanged and it starts at around $22,000 and goes up to $30,000.